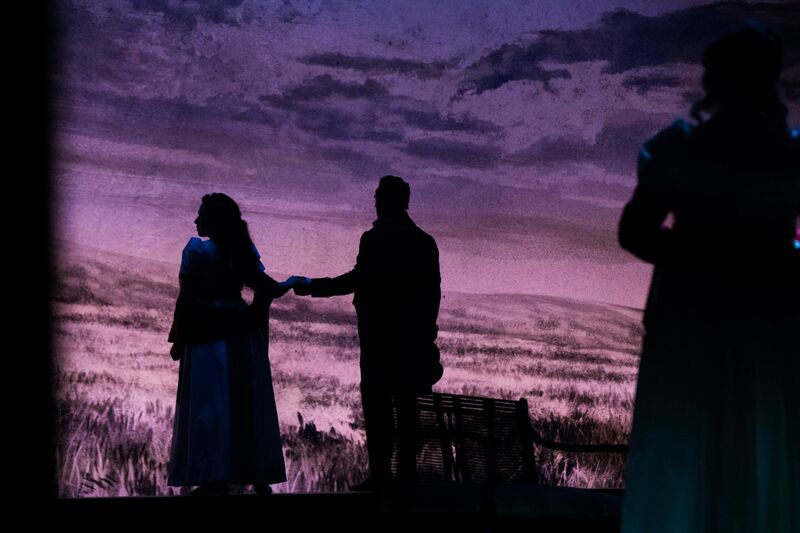 Act I begins with the sounds of a duet drifting from inside the house. The sisters, Olga and Tatyana, are singing a verse by Pushkin, “Slïkhalil´ vï…vdokhnulil´ vï´” (Have you not heard…have you not sighed), accompanied by the harp. Outside, their mother Larina, who is sitting with her old nursemaid, Filippievna, is inspired to think of her youth and marriage and the importance of literature in her life. A chorus ensues, singing in traditional folk polyphony, “´Bolyat moi skorï nozhen´ ki so pokhodushki´” (My nimble feet are sore from walking), as Madame Larina’s serfs return from the fields. A single voice heard from afar begins the choral number. In response the chorus sings a modal melody with parallel and contrary motion. They perform the Dance of the Peasants singing, “Uzh kak po mostu-mostochku´ (Across the little bridge). The first folk song was composed by Tchaikovsky, but the second stems from oral tradition. The peasants take their leave as Olga begins a scena and aria, “Ya ne sposobna k grusti tomnoy,” (I am no good at languid melancholy). Olga compares herself with her sister Tatyana who is occupied with deep thoughts. Larina frets over Tatyana’s introversion. Filipyevna announces the arrival of guests. Lensky and his sophisticated friend Onegin are presented to Olga and Tatyana. The four embark on a quartet, the two men and the sisters in respective pairs. 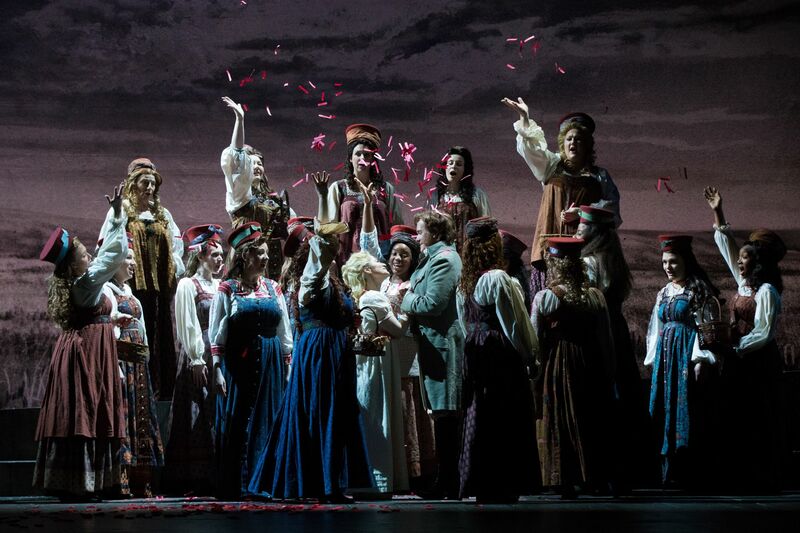 Simultaneously, the men discuss the girls and Tatyana is sure that Onegin is the special someone for whom she yearns. They begin to walk together, Onegin with Tatyana and Lensky with Olga. In an arioso Lensky declares his love for Olga, “Ya lyublyu vas, Olga,” (I love you, Olga). The descending scale motif is heard at the beginning of Lensky’s scene and arioso. Onegin and Tatyana stroll back into view, Tatyana hanging on Onegin’s every word. He finds rural life very boring. In a cynical fashion Onegin relates the story of the unexpected death of his uncle that resulted in his inheritance of the estate nearby. As they walk, Filipyevna speculates about Tatyana’s feelings toward this new man. Tatyana has retired to her bedroom in a restless mood. The scene’s introduction is based on Tatyana’s motif. Tatyana asks Filipyevna about love and her own experience with love and marriage. Tatyana is unsatisfied with her nurse’s answers, finding them very unromantic. Tatyana asks for writing paper and pens and then sends the old nurse away. 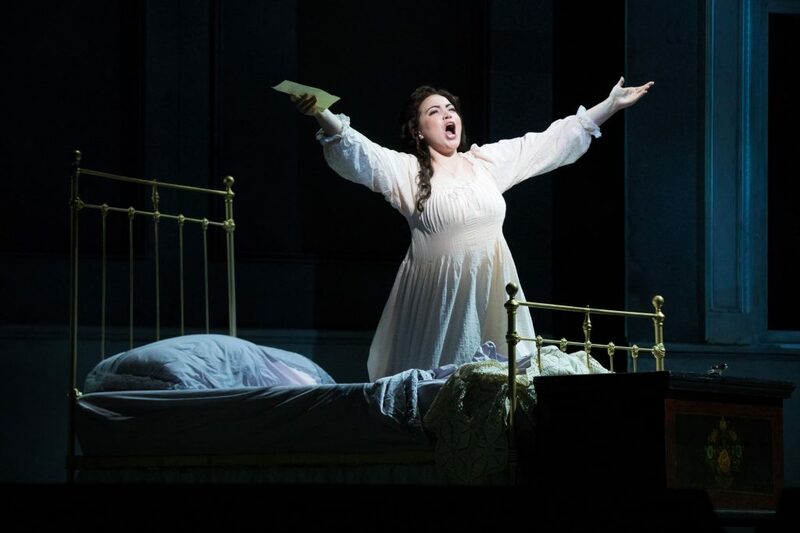 Tatyana spends the night composing a letter to Onegin in a lengthy 12-minute aria, called the Letter Scene, “Puskay pogibnu ya,” (Even if it means I perish). She pours her very soul into declaring her love for Onegin. Additional musical motifs are introduced that recur in the opera, including the “fate” descending scale motif. As the early dawn breaks, an oboe melody is heard, representing a shepherd’s pipe. The melody is an authentic shepherd’s tune. Filipyevna enters and finds Tatyana awake. She is asked to send the letter to Onegin. 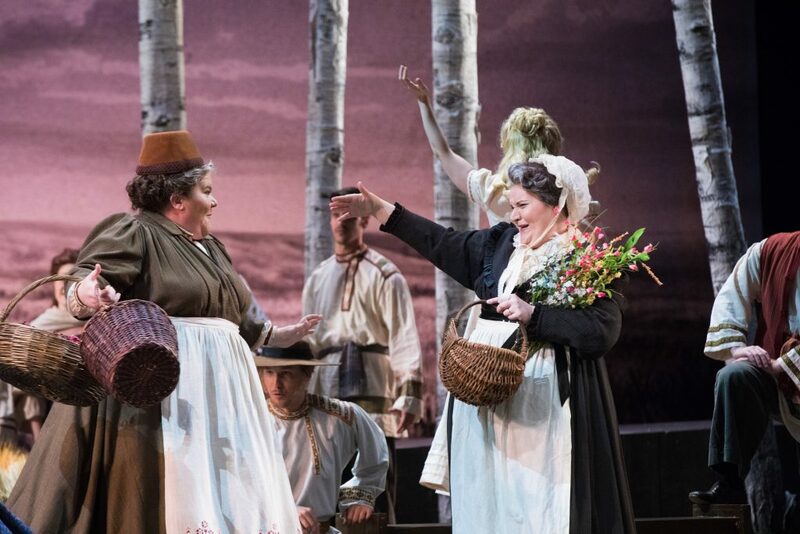 An anxious Tatyana waits for Onegin’s response as she listens to some peasant girls singing a folk song. Onegin arrives and tells her he was touched by her letter and that if he wished to marry he would certainly choose her. Then he admonishes Tatyana for her lack of self-control. He is gentle but cold in his demeanor. He also tells her that he feels only brotherly love for her, leaving Tatyana stunned and speechless. 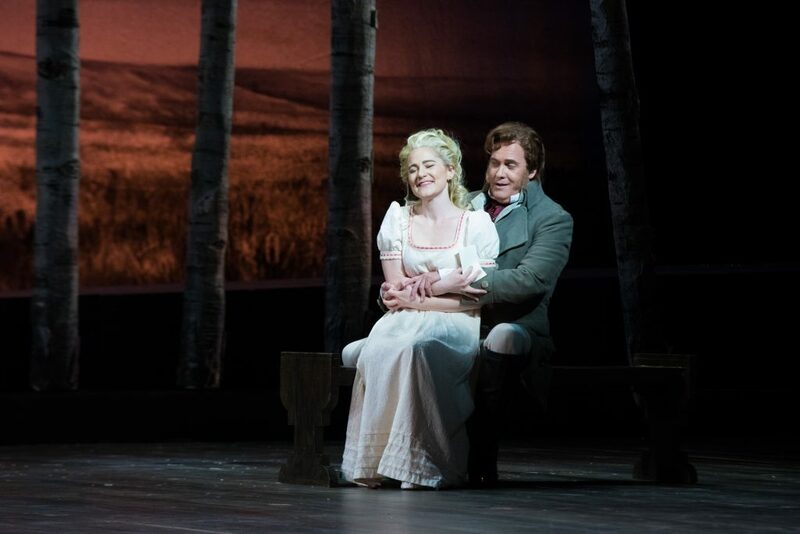 Onegin proffers his arm and leads the humiliated Tatyana away. The earlier music of the peasant girls frames the scene. An entr’acte based on the central theme of the Letter Scene opens the scene, where guests are assembled at the Larin Estate to celebrate Tatyana’s birthday. A waltz plays as the guests chatter and gossip. Onegin hears the gossip and is annoyed that Lensky insisted they attend the ball. Onegin makes mischief, asking Olga to dance. Olga flirts with Onegin, upsetting Lensky. She has promised the cotillion to Onegin. Onegin makes goading comments to Lensky who is so offended that he renounces his friendship with Onegin. The men quarrel and Lensky challenges Onegin to a duel. The descending scale motif is heard. The largest ensemble in the opera, a quintet with chorus, ensues. Tatyana, Olga, Larina, Lensky and Onegin and assembled guests all express their shock, dismay and regret over this unexpected event. Lensky rushes out of the ballroom followed closely by Onegin. The introduction to the duel scene is based on Lensky’s aria from the first act. Lensky and his second await the arrival of Onegin at the place designated for the duel. Lensky sings a farewell to Olga, “Kuda, kuda, vï udalilis,” (Whither, ah, whither are ye fled). Some consider this the finest aria written for tenor in Russian opera. Onegin arrives late in a somewhat insulting manner. The two men stand back-to-back awaiting the signal to advance. They sing a duet in the form of a canon which is set apart by half a bar. They sing the same words, which are filled with regret, but the distance between them is stated musically by the uneven canon. At the end of the duet they question whether they should call off the duel. The response, “Nyet, nyet, nyet, nyet,” (No, no, no, no) seals their fate. The duel commences. When Onegin fires his pistol, he realizes with dismay that he has killed his friend. Several years have passed; Onegin has returned to St. Petersburg after a lengthy trip abroad. 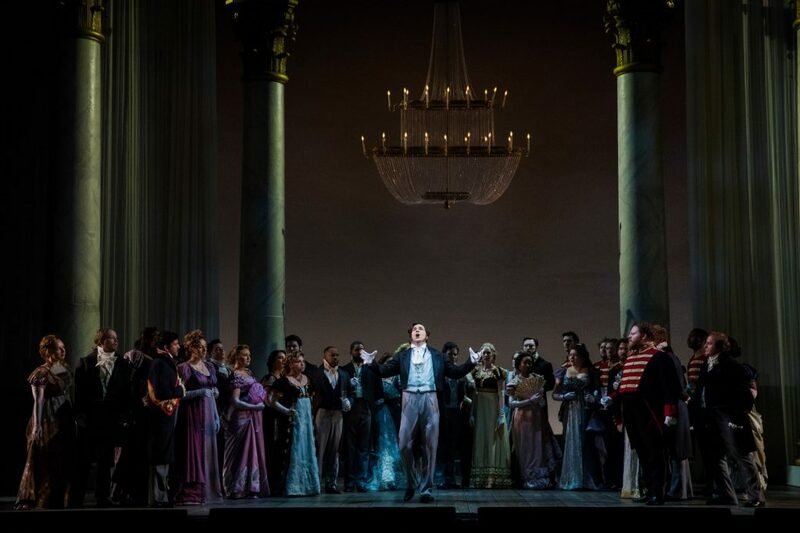 Onegin attends a grand ball at the home of Prince Gremin. A polonaise is being danced. At the age of 26, he bitterly states that he has done nothing with his life, “I zdyes mnye skuchno!” (I’m bored here too). His ennui combined with his guilt over the death of Lensky has never left him. Another dance, an ecossaise (Scottish-style contredance) begins. Prince and Princess Gremin enter and greet their guests. Onegin recognizes Tatyana and cannot believe his eyes. She bears herself like a queen and is so at ease. He asks Prince Gremin about her and is told that she is his wife of two years. Gremin shares his love for Tatyana in the aria, “Lyubvi vsye vozrastï pokornï´,” (Love is no respecter of age). Onegin and Tatyana meet with calm demeanor though both are affected by this unexpected encounter. Tatyana asks to be excused and leaves the ball. Onegin realizes he loves her and sings the aria, “´Uv;iuml;, somnen ´ya net´” (Alas, there is no doubt). Tchaikovsky establishes the sad irony of the situation by recapitulating the blissful opening music of Tatyana’s Letter Scene. Tatyana receives a letter from Onegin confessing his love. She is distressed, tremulous and feels a rising passion. She begins to weep. Onegin bursts in. They begin their final duet though it must be noted that it is not a conventional duet. Their two voices are heard singing together only briefly. There are no love duets in Eugene Onegin. Tatyana reminds Onegin of his attitude years earlier. He begs forgiveness. She admits she stills loves him and he seizes the moment to entreat her to leave her marriage. Even though her heart is with him, she refuses to dishonor her husband. When Tatyana declares she will leave the room, Onegin cries out the same words that separated him from Lensky, “Nyet, nyet, nyet, nyet!” (No, no, no, no). 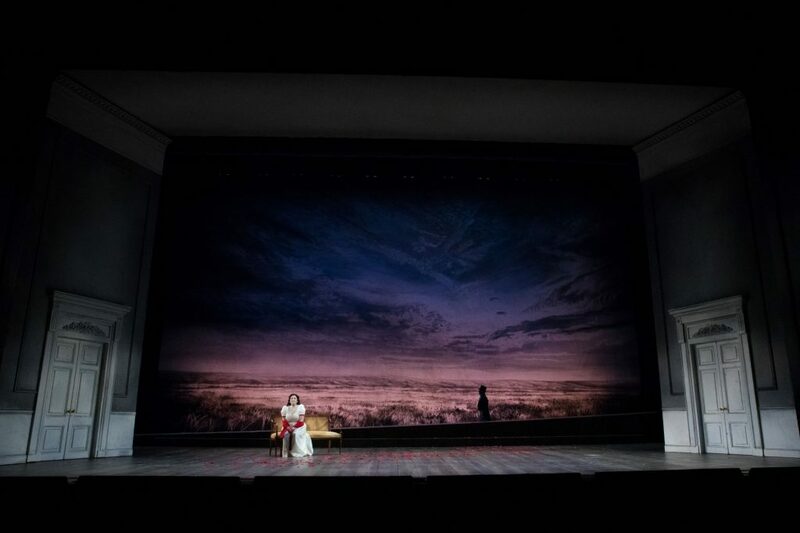 After a tumultuous confrontation, Tatyana leaves Onegin to his fate and bids him farewell forever. An arrogant and cynical aristocrat who likes to party. 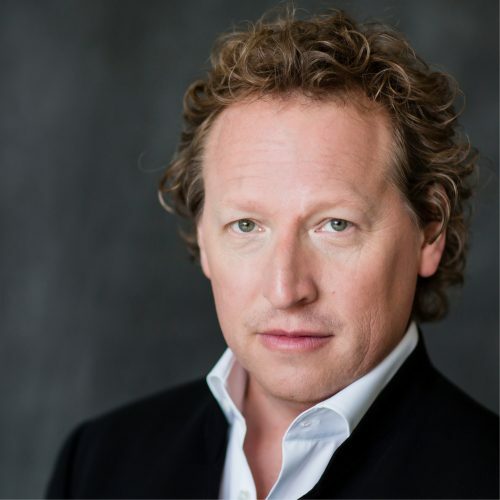 David Adam Moore is a highly sought-after leading baritone by major opera houses and orchestras. He was last seen at The Atlanta Opera in Winter Journey (Winterreise). Olga’s fiancé and Onegin’s friend; a poet and a romantic. 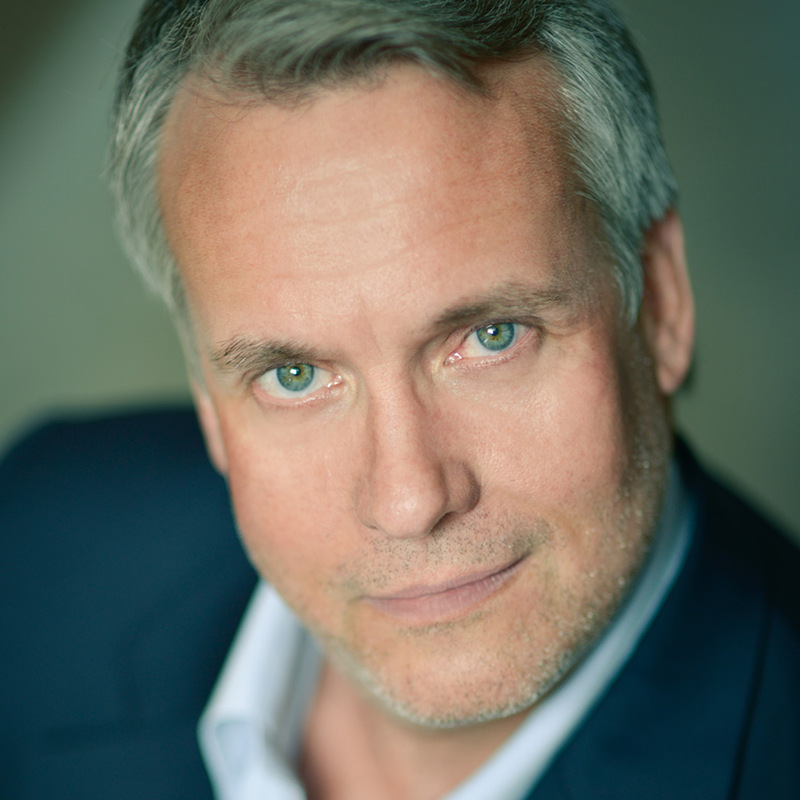 American tenor William Burden has won an outstanding reputation in a wide-ranging repertoire throughout Europe and North America and recently served as Artist in Residence at the 2017 Glimmerglass Festival. Olga’s younger sister; a naive and bookish country girl who falls for Onegin. 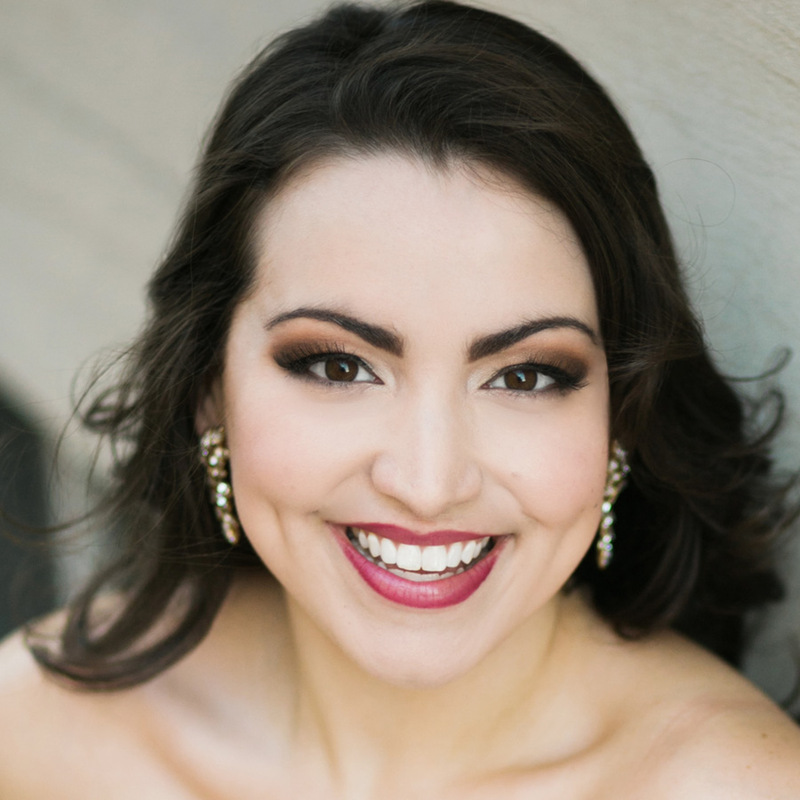 Hailed as a “true artist” (Opera News), soprano Raquel González from Lawrence, Kansas recently completed three seasons as a Domingo-Cafritz Young Artist at Washington National Opera. Tatyana’s sister; carefree and extroverted. 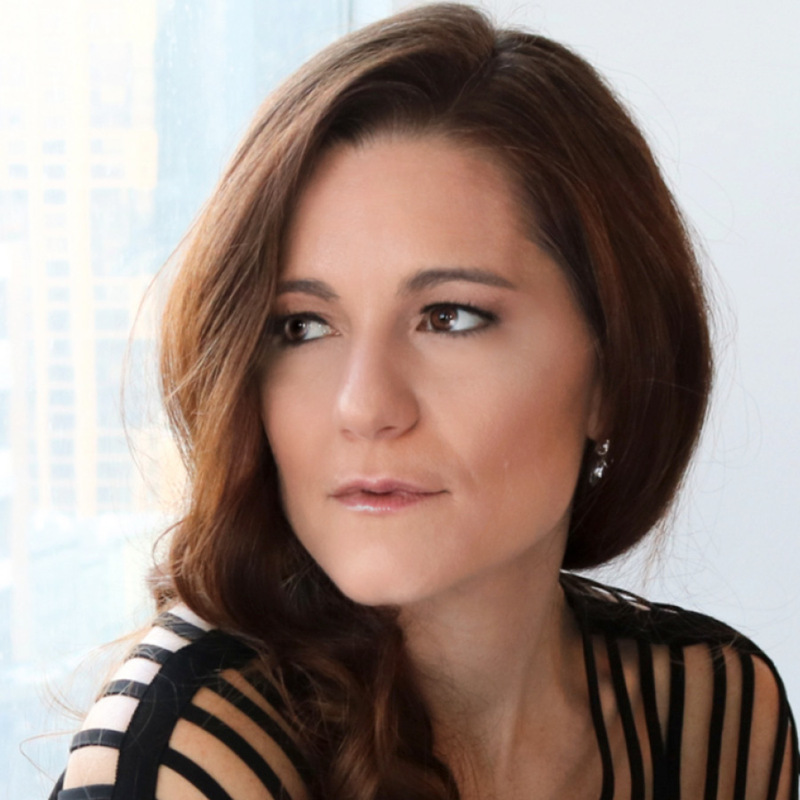 Mezzo-soprano Megan Marino has been hailed by Opera News as “a gifted actress with a strong, appealing voice, graced by a rich lower register.” She makes her Atlanta Opera debut as Olga. 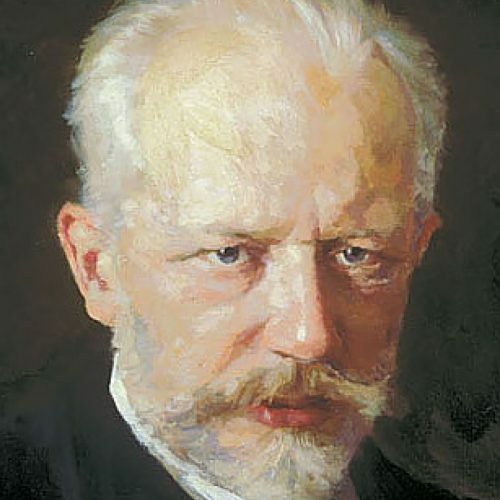 Tchaikovsky was a leading Russian composer of the late 19th century, whose works are notable for their melodic inspiration and their orchestration. He is regarded as the master composer for classical ballet, as demonstrated by his scores for Swan Lake, The Nutcracker, and Sleeping Beauty. Among the most subjective of composers, Tchaikovsky is inseparable from his music. His work is a manifestation, sometimes charming, often showy, of repressed feelings that became more and more despairing in later years and were most fully expressed in his Sixth Symphony, one of the greatest symphonic works of its time. Though his later work rejected conscious Russian nationalism, its underlying sentiment and character are as distinctively Russian as that of the Russian nationalist composers. His success in bridging the gulf between the musician and the general public partly accounts for the position he enjoys in Russia, as well as throughout the world of music. No composer since Tchaikovsky has suffered more from changes of fashion or from the extremes of over- and under-valuation. He achieved an enormous popularity with a wide audience, largely through his more emotional works; but the almost hypnotic effect that he was able to induce led to serious questioning of his true musical quality. He is certainly the greatest master of the classical ballet. His last three symphonies are deservedly famous, and to these should be added the neglected Manfred Symphony, the First Piano Concerto and the Violin Concerto. Notable among his other orchestral works are the early Romeo and Juliet Overture and the exquisite Serenade for Strings. 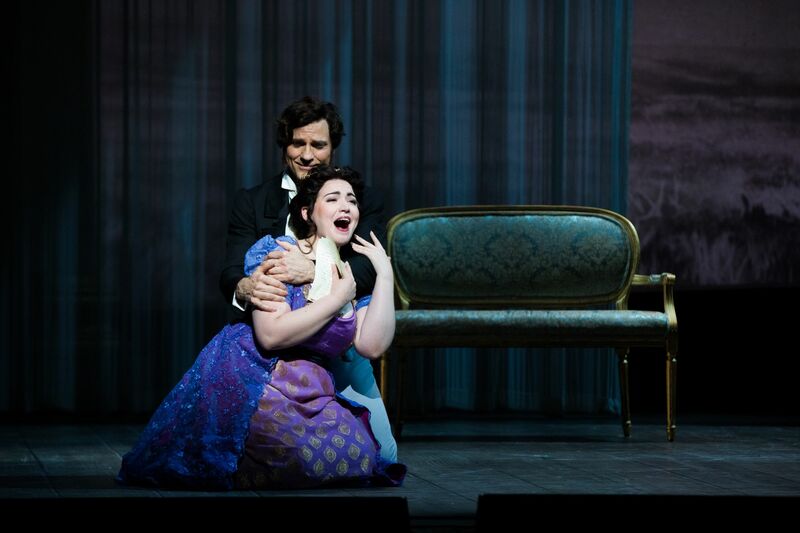 Of the operas,Eugene Onegin is a masterpiece and The Queen of Spades dramatically effective. His chamber music includes string quartets, solo piano music and many fine songs. Tchaikovsky was born on May 7, 1840, in Kamsko-Votkinsk, a small industrial town east of Moscow. His father was superintendent of government-owned mines, and his mother Alexandra was half French. Tchaikovsky was musically precocious, but his interest was not actively encouraged because his parents felt it had an unhealthy effect on an already neurotically excitable child. One night after a party, Alexandra found him awake, pointing to his forehead, and crying, “Oh this music, this music! Take it away! It’s here and it won’t let me sleep!” Pyotr’s father played a great variety of music on his orchestrion, a rudimentary form of a record player. After hearing tunes from the opera Don Giovanni, Pyotr became a lifelong admirer of Mozart. His childhood piano teacher was Maria Palchikova, a freed serf, and within a year he was able to play better than she could. When his father moved to Moscow and then to St. Petersburg, the boy entered the School of Jurisprudence in 1850 and quickly passed through the school’s upper divisions. When he was 14 years old, Tchaikovsky’ mother died of cholera. Though his musical training was informal, the boy composed a waltz for piano in her memory. The pianist and composer Anton Rubenstein, who became the first director of the new St. Petersburg Music Conservatory, was the first to see real signs of talent in Tchaikovsky. When he failed to get a promotion at the Ministry, Tchaikovsky resigned and entered the St. Petersburg Music Conservatory at the age of twenty-two. He supported himself by teaching music, learned to play organ and flute, and joined the Conservatory orchestra. Tchaikovsky’s first orchestral score (1864), an overture based on Aleksandr Ostrovsky’s melancholy play The Storm, is remarkable in that it shows many of the stylistic features that would later be associated with his music. Rubenstein, whose tastes were formed by earlier styles, was critical of the work; he had expected Tchaikovsky’s composition to be dark and dreary, Tchaikovsky instead created a colorful, dramatic piece of “program music,” including unusual instruments such as the harp, oboe, and tuba. Rubenstein was also critical of Tchaikovsky’s graduation exercise, a cantata representing Schiller’s Ode to Joy. The cantata was performed January 12, 1866, in the presence of a distinguished audience – but Tchaikovsky was too nervous to attend. Rubenstein threatened to withhold Tchaikovsky’s diploma, but nobody could deny Pyotr’s outstanding talent. In late 1865, Rubenstein’s brother Nikolai, director of the newly established Moscow Conservatory offered Tchaikovsky a post as professor of harmony, five years of lodging and monetary support to Tchaikovsky. Tchaikovsky settled in Moscow in January 1866, although he underwent a mental crisis as a consequence of overwork on his Symphony No. 1 in G minor (Winter Daydreams), Opus 13 (1866). His compositions of the late 1860s and early ’70s reveal a distinct affinity with the music of the nationalist group of composers in St. Petersburg, both in their treatment of folk song and in their harmonies deriving from a common link with Mikhail Glinka, the “father” of a Russian nationalist style. He corresponded with the leader of the group, Mily Balakirev, at whose suggestion he wrote a fantasy overture, Romeo and Juliet (1869). Tchaikovsky’s intrinsic charm is nowhere more apparent than in the nationalist comic opera Valkula the Smith (1874; first performed 1876), which in its revised form, Cherevicki (The Little Shoes), is of similar merit to another opera, Sorochintsy Fair (also based on one of Nikolay Gogol’s Ukrainian tales), by the most original composer in the Petersburg group, Modest Mussorgsky. Tchaikovsky’s opera, however, is much closer to Balakirev’s own folkloric idiom than anything Mussorgsky wrote. After a fleeting, but unsuccessful, love affair with Désirée Artôt, the prima donna of a visiting Italian opera company, he had only one further romantic relationship with a woman. In the mid-1870s he had another nervous breakdown. One of the symptoms of this nadir in his life was almost hysterical activity in composition culminating in the Symphony No. 4 in F minor, Opus 36 (1877), and the opera Eugene Onegin (1877-78), based on a poem by Aleksandr Pushkin. He felt in such sympathy with Pushkin’s heroine, Tatyana, that when a former music student, Antonina Milyukova, became infatuated with Tchaikovsky, threatening suicide should he reject her, he identified her in his mind with the cruelly spurned Tatyana and consented to marry her. Late in 1876, Tchaikovsky had begun an extraordinary correspondence with an admirer of his compositions, the wealthy widow Nadezhda von Meck. She created an annuity sufficient to allow Tchaikovsky to devote himself entirely to composition. By her wish, the two never met. Their intimate correspondence was more revealing of her than of Tchaikovsky. Wishing always to be liked, he was apt to write what he thought people wanted to read rather than what he really thought. The detailed program of his Fourth Symphony, which he made up especially for her, is generally regarded with circumspection. He later averred that replying to her frequently effusive letters had become “irksome.” All the same, this curious relationship apparently fulfilled a deeply felt psychological need for both, particularly for Tchaikovsky, whose wife, proving importunate even after a separation had been arranged, had to be bought off. Tchaikovsky’s attempts to justify to himself her generous annuity caused him to overwork during the next few years. He composed the Piano Sonata in G major, Opus 37 (1878), the orchestral Suite No. 1 in D minor, Opus 43 (1878-79), music for the coronation of his patron the Emperor Alexander III, and the first of his mature attempts to write a commercially successful opera, The Maid of Orleans, (1878-79). The years 1878 to 1881 also included several major achievements: the Violin Concerto in D major, Opus 35 (1878), and the popular Serenade for String in C major, Opus 48 (1880); Capriccio italien, Opus 45 (1880); and the 1812 Overture, Opus 49 (1880). 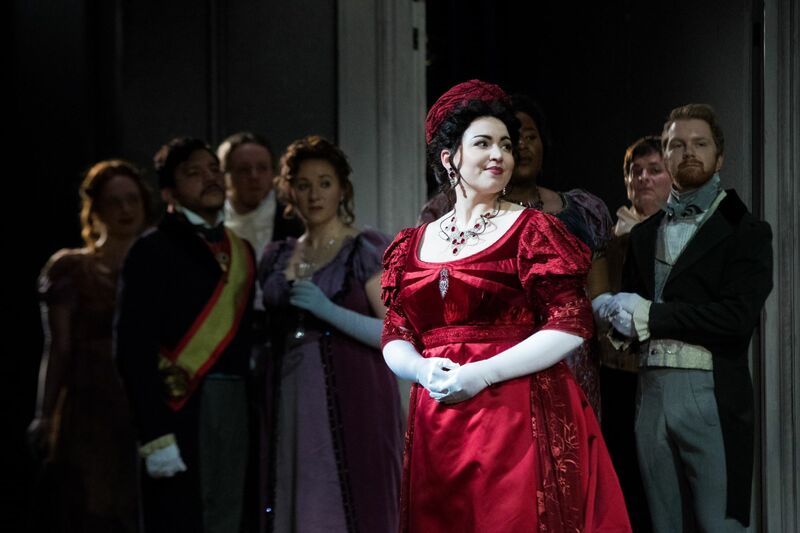 Eugene Onegin, which was only a token success at its Moscow premiere, enjoyed great popularity in St. Petersburg because of the emperor’s admiration. The Manfred Symphony Opus 58, composed in 1885, not only called forth unstinted praise but showed in some of its histrionically despairing episodes the path that Tchaikovsky’s life and music were to follow in the last years. In 1885 he bought a house at Maidanovo, near Moscow, where he lived until the year before his death, when he moved into the house that is now the Tchaikovsky House Museum in the nearby town of Klin. He began to travel more in Russia and vacationed twice in the Caucasus. He overcame an aversion to conducting and in 1888 undertook an important and well received foreign tour, directing his own works in Leipzig (where he met the composers Johannes Brahms and Edvard Grieg), Hamburg, Berlin, Prague, Paris, and London. This tour was the apex of Tchaikovsky’s later life. From then on, despite the continuing success of many of his former compositions and the acclamation of new ones, including his second Pushkin opera, The Queen of Spades, and his favorite ballet, The Sleeping Beauty, he was working his way toward another nervous breakdown. His major compositions, starting with Symphony No. 5 in E minor, Opus 64 (1888), became more and more intense and emotional, filled with both exaltation and despair. Tchaikovsky went on further tours, including to the United States and England, where he conducted his popular Piano Concerto No. 1 in B-flat minor, Opus 23 (composed 1874-75), in 1889 and his Fourth Symphony in 1893. In 1893 Cambridge University awarded him an honorary doctor of music degree. These and other successes, including the tumultuous reception accorded to the suite he hastily made for concert performance from his Nutcracker ballet music (1892), did not alter the inexorable decline in his mental condition, which was aggravated in 1890 when Nadezhda von Meck suddenly ended both their correspondence and the annuity. From a financial standpoint this hardly mattered, because the royalties from The Queen of Spades covered the loss without difficulty, and he was by this time a recipient of a state pension. Tchaikovsky never forgave her, and the nature of the psychological wound it inflicted upon him can be judged by the fact that in the delirium of his last illness he repeated her name again and again in indignant tones. In August 1893 Tchaikovsky completed his Symphony No. 6 in B minor, Opus 74 (Pathétique) which was his last and which he rightfully regarded as a masterpiece. On October 28 he conducted its first performance in St. Petersburg. Its novel slow finale could hardly have been expected to induce such applause as had greeted, only 18 months earlier, the premiere of the lighter Nutcracker Suite. Into this work, with its “secret” program, he had put his whole soul. Tchaikovsky was devastated by the public response. On November 2, 1893-six days after the premiere-he died. 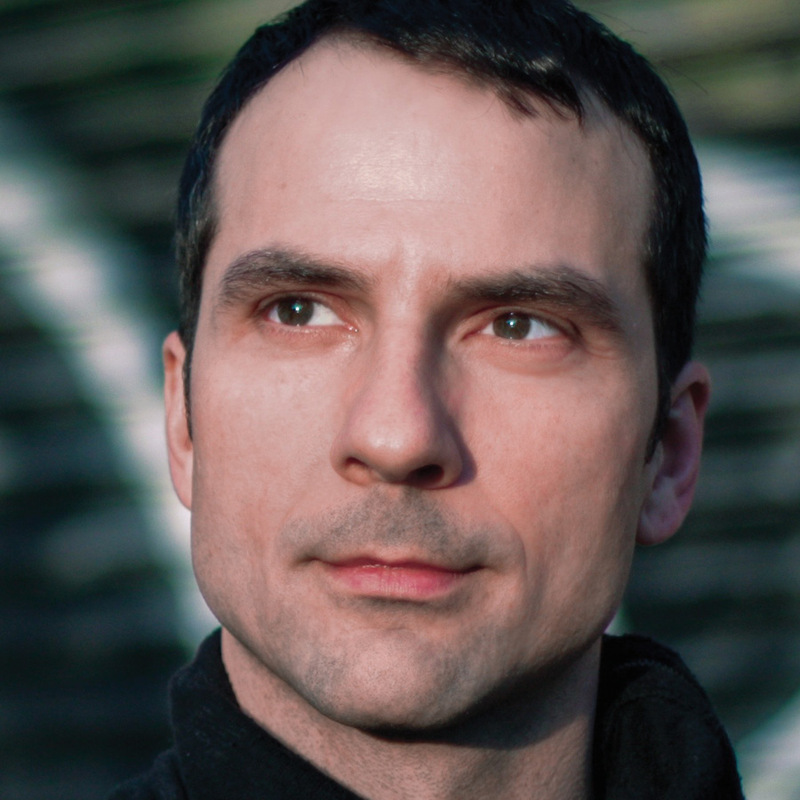 Ari Pelto, Music Director of Opera Colorado, is widely known for performances that have been called poetic, earthy, vigorous and highly individual. He is in demand in opera houses and with symphony orchestras throughout the United States. At age of 24 Pelto was appointed Assistant Conductor at the Spoleto Festival and has gone on to conduct on stages worldwide. 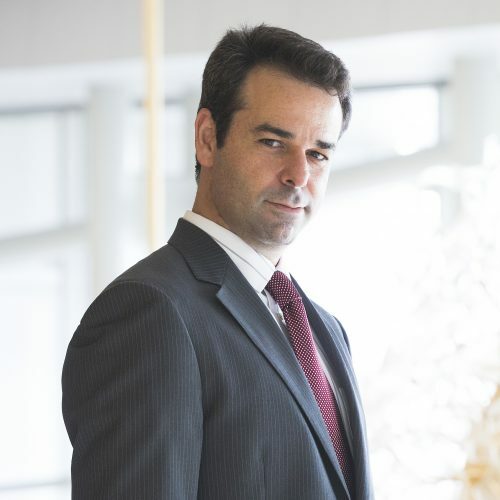 His international appearances include symphonic performances with the Bochumer Philharmoniker, productions of Le Nozze di Figaro and Falstaff at New National Theatre of Tokyo, and Faust at the Teatro Nacional Sucre in Quito, Ecuador. In 2015, Pelto was named Opera Colorado’s first ever Music Director, where he has conducted acclaimed performances of Don Giovanni , Madama Butterfly, Aida and the recent world premiere of Lori Laitman’s long-awaited work, The Scarlet Letter, a recording of which will be released in fall 2017 on the Naxos label. In upcoming seasons at Opera Colorado Pelto will lead productions of La Fanciulla del West, Lucia di Lammermoor, La Boheme, Falstaff, and the world premiere of Gerald Cohen’s new opera, Steal a Pencil for Me, based on a true love story set in a concentration camp during WWII. After earning his Bachelor of Music in violin performance at Oberlin Conservatory, he studied conducting at the Sibelius Academy in Helsinki, Rubin Academy in Jerusalem, and with Imre Pallo at Indiana University. Known for creating innovative, visually striking new interpretations for standard operas as well as championing new works by contemporary composers, his work has been seen internationally in Europe, South and Central America, Israel, and the US. Recently he created critically acclaimed new productions of Semele (Seattle Opera) Lucia di Lammermoor (Seattle, Atlanta, Cleveleand), La bohème (Seattle, Pittsburgh, Cleveland, Atlanta), Lucrezia Borgia (Buenos Aires), Gianni Schicchi (Juilliard, IVAI Tel Aviv), L’heure espagnole (Juilliard), The Magic Flute (Cincinnati, Atlanta, Indiana University), Don Giovanni (Wolf Trap, Cincinnati), Die Fledermaus (Dallas, Kansas City), Falstaff (Wolf Trap, Des Moines), Rigoletto (Boston, Atlanta, Omaha), Madama Butterfly (Atlanta, Castleton Festival), Tosca (National Theatre Panama, Atlanta) and Dialogues of the Carmelites (IVAI Tel Aviv), among many others. Some of his upcoming projects include the world premiere of the new opera Dinner at Eight (Bolcom) at Minnesota Opera, followed by the European premiere at Wexford Festival, new productions of Maria de Buenos Aires and Die Fliegende Holländer in Atlanta, a new Giulio Cesare for the Israeli Opera (Acco Festival), a new Eugene Onegin at Kansas City and a revival of his acclaimed production of La bohème in Dallas. As a stage director, he made his debut in Atlanta with a critically acclaimed Die Fliegende Holländer in 2009, a production which led to a series of memorable new co-productions with sister opera companies including The Magic Flute, Lucia di Lammermoor, Madama Butterfly, Rigoletto, La bohème, and Romeo and Juliet.